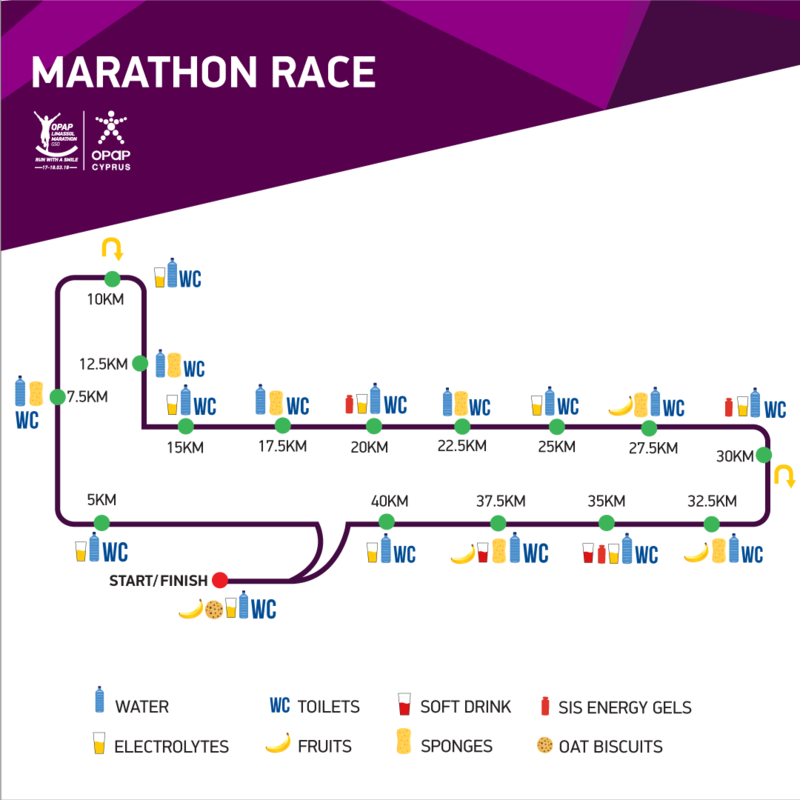 Covering the distance of 42.195 KM, the Marathon Race starts from the Western End of the Molos Park in Limassol. 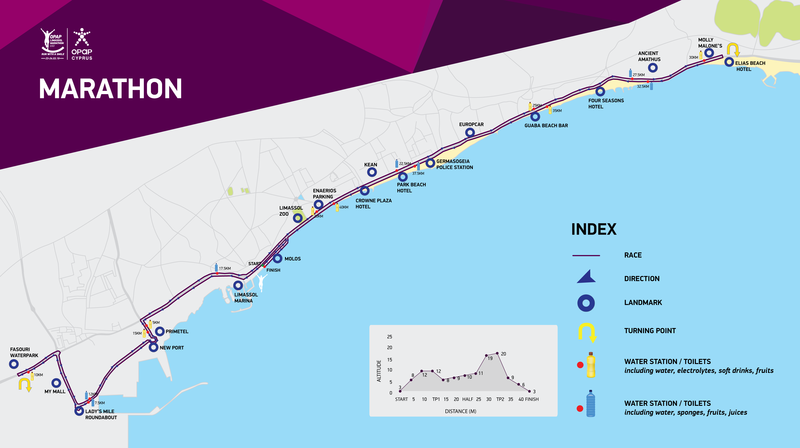 With the gunshot, the Marathon Race Runners will head Eastwards and exit the Molos Park, turning left and taking a Western direction. Running towards the West parts of Limassol, our Runners will head towards the Old City of Limassol, and then towards the Limassol Port. Covering the Western Area of the City, the Runners will pass through mixed scenery of urban and natural beauties, with a highlight being the famous “forest tunnel”. The runners will then head to East Again with a direction towards the Ancient Kingdom City of Amathus. The road to the Ancient City of Amathus is 100% Coastal, and the Runners will run along the city's most developed and hip area! Reaching the Ancient City of Amathus, and after running through a corridor of the Ancient Ruins and the Beautiful Mediterranean Scenery, the Runners will turn again towards the West and start their return to the Molos Park to the Finish Line!